Vanilla House Today : Stretching and Sewing Elastic! 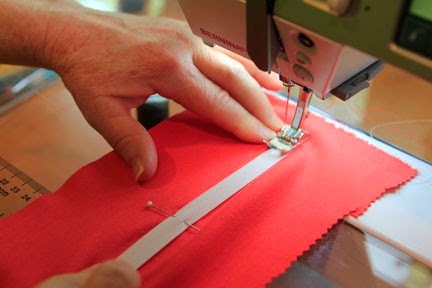 Here's a few pics that might help understand the stretching of elastic and sewing it in at the same time. 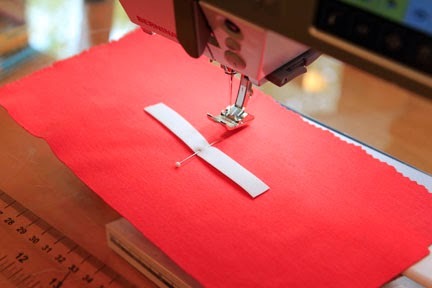 This technique is used in patterns like P162 T-shirt Transitions and P163 Onzie Conversions. 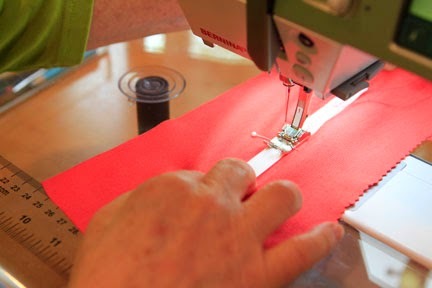 First, start out by center aligning the piece of elastic on the spot of the fabric you want the elastic. Put a pin in the center of the elastic. 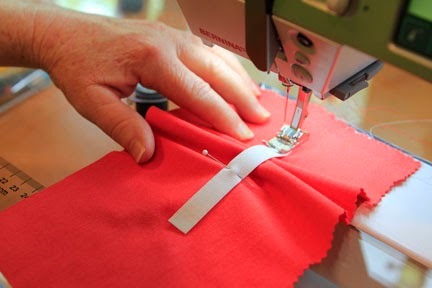 Now place the fabric and elastic in your machine, with one end of the elastic at the feed dogs when stretched to most of its maximum stretch. Go ahead and anchor the end of the elastic with a few stitches. You can now let go of the 'stretch' for a moment. You can see how much gather the fabric is going to happen. 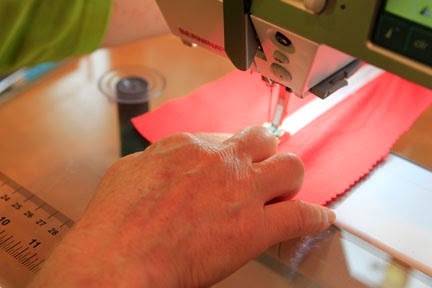 Arrange your hands again to stretch the elastic until the fabric is flat (no gathering). 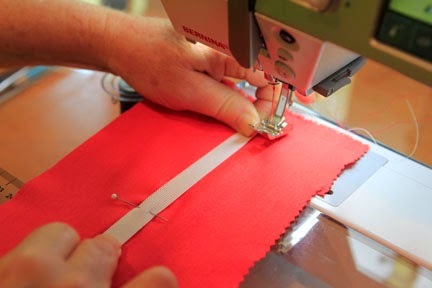 With the zig zag stitch, continue sewing the elastic until you get to the pin. You can let go of that first half of the elastic. Pull the pin out. From the center spot of the elastic to the end of the elastic, stretch the elastic again to most of its maximum stretch. 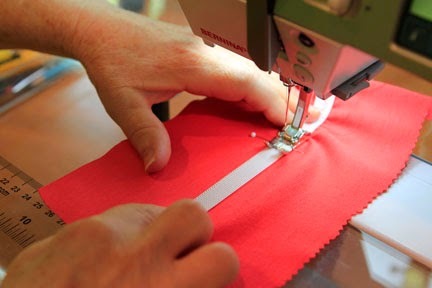 Continue the zig zag sewing until you get to the end of the elastic. Then you can let go and your elastic should be sewn in proportionately.